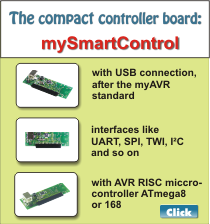 The myAVR ethernet module is an extrem compact network solution. With it you can realise an embedded web server. The module possess its own mac address and include an IPstack. 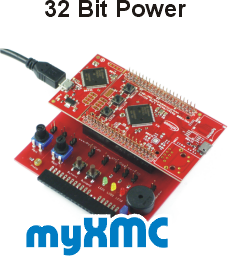 Because of the integrated microcontroller it can realise measurement. 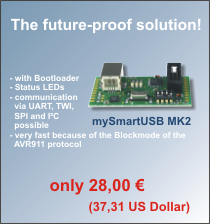 The module includes a 20-pole myAVR extension port and is so compatible to all myAVR components.